I realize that i was supposed to put these pics up forever ago but better late then never. 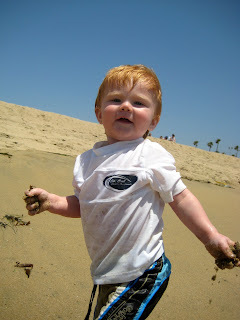 Landon loved the beach. It was his first trip and he is always up for a new adventure. 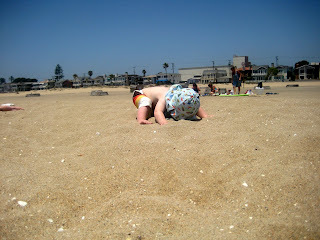 He found the sand very appetizing, and would eat it every chance he got. 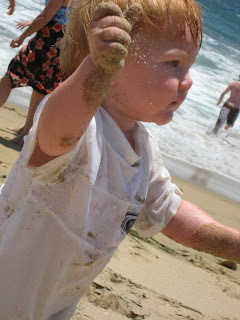 He would crawl out into the waves and wait to get knocked over, crazy if you ask me but he is the non stop adventurer. Nice! That beach looks fun. cute cute witto boy you guys have there! !